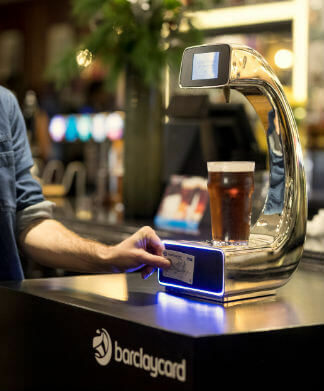 Barclaycard has introduced a new way to pay for, and pour your own, contactless beer – a tap-and-go pump installed in a Central London pub. Pay@Pump, still only at the testing stage, has been designed to reduce queuing times, especially in busy periods. Customers can simply touch their contactless card or eligible device against a pad at the bottom of the pump, then can place their glass under the pump and serve up their own drink. The process is said to take sixty seconds, and the prototype can be found in Henry’s Café Bar – but is not yet available for public use. The contactless beer pump was tested with ale (presumably as you don’t need the glass to be angled in a particular way, as you do with lager) and came on the back of consumer research from the card provider around festive celebration frustrations. Barclaycard research found that the average waiting time at a bar during the Christmas party season is 12 minutes per order, or 35 minutes per person over a festive night out. 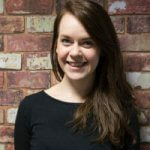 20% of revellers in the study said they had abandoned a drinks purchase because of long queues. As one busy pub manager told us earlier in the year, contactless technology has been incredibly helpful in speeding up transactions in pubs… and contactless beer pumps may also appear at events like music festivals to reduce queuing. The pump incorporates Barclaycard’s contactless technology, and when the payment has been approved, a pint of ale is automatically poured. Sensors in the barrel apparently register how much alcohol has been dispensed and, once a full pint is served, the pump closes. Contactless payments are certainly taking off in the UK, with 22% of transactions in September made via contactless card. The UK Cards Association also found that there were a total of 98.9 million contactless cards in the UK, a 29.7% over the year. While contactless spending is clearly gaining traction in the UK – and is becoming a viable payment method, thanks to the 419,431 bank-owned terminals accepting contactless transactions across the country, nearly 50% more than a year before – it is still more common in London, where the method is accepted on most public transport and is used in over 40% of transactions under £20. In related paying-for-things-quickly-at-Christmas news, you could try wearing this contactless scarf and dangling it over the EPOS while you are trying to buy wrapping paper and carrying too many shopping bags. Could we soon see a national roll-out of contactless beer pumps, helping us side-step the long lines for the bar in the future? At Mapa, we can certainly imagine the benefits. More information on Barclaycard and other credit card providers can be found in our Credit Card Dashboard, a quarterly report going behind the login to show you what the customer experience looks like on digital channels. Contact us today to subscribe.